This is a water pressure sensor adopts DFRobot Gravity 3-pin interface. It supports standard 5V voltage input and 0.5~4.5V linear voltage output. It is compatible with multiple Arduino controllers. 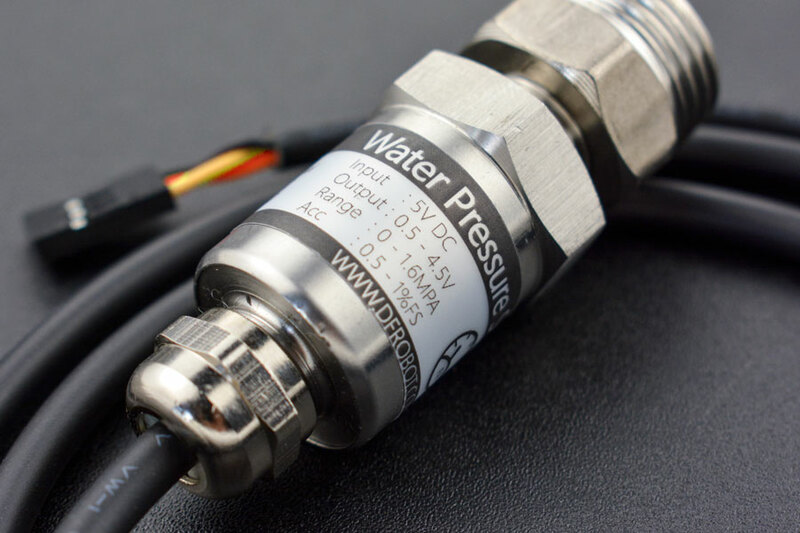 Coordinate with a DFRobot Gravity IO Expansion Shield, the water pressure sensor can be plugged into an Arduino board, wiring-free. Put it with Solenoid Valve, Water Turbine Generator and other sensors, you can build a smart water control system. 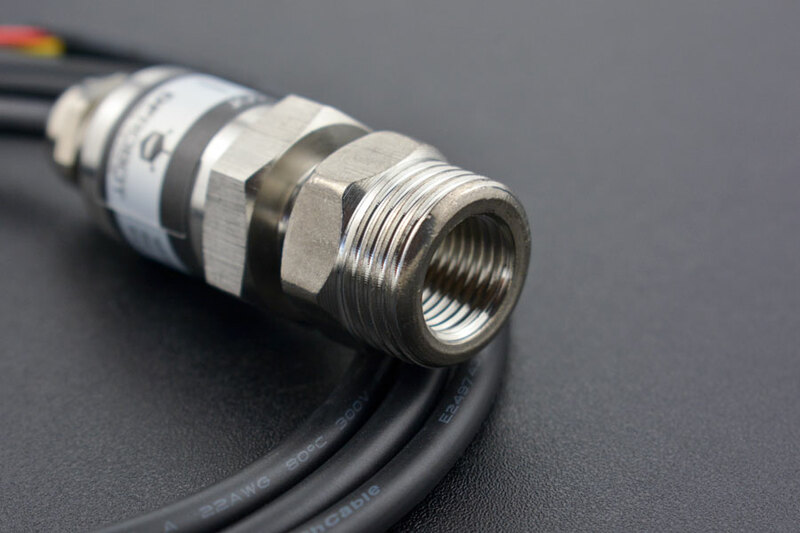 Briefly speaking, this water pressure sensor is a stethoscope to a water pipe. It will help you to diagnose whether there is water, how strong the water pressure is. It can be widely applied to smart home control systems (SCS), Internet of Things (IoT) and device detections. Support water pressure detection of living environmental water systems, such as houses, gardens and farms. 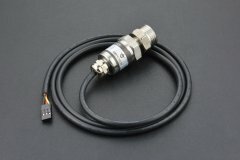 Support water pressure detection of outdoor environment, such as rivers, lakes and sea.